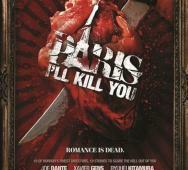 From the directors of Underworld we have a new horror movie, Paris, I’ll Kill You. Bjorn Stein and Mans Marlind (Underworld: Awakening) are the final directors to board the project, they join the previously announced directors, David R. Ellis, Xavier Gens, Joe Dante, Christian Alvart, Christopher Smith, Paco Plaza, Timo Vuorensola, Eron Sheean and Jorn Heitmann. This upcoming movie will be produced by Instinctive Film and Blind Spot Pictures. Shooting will begin this Autumn and casting is set to start soon. Johannes Roberts’ Storage 24 has finally released a poster and trailer. The London horror movie features a blood thirsty creature hunting its victims in a storage facility. Charles and Shelley are at the end of a breakup and were dividing up their belongings when they find themselves trapped inside. Together they must fight off the monster and make it out alive. 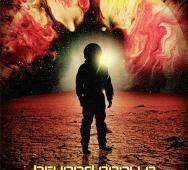 Apollo 18 may have been a let down but Bill Pullman is looking to make a better Apollo movie with Beyond Apollo. Michael Grodner’s upcoming horror movie is based on the Barry N. Malzberg novel. Bill Pullman (The Serpent and the Rainbow) is set to star along with Scott Speedman (Underworld) and Ali Carter (Resident Evil). Stitches is the clown you never want to see in real life and make wonders in a horror film. Written and directed by Conor McMahon. Stitches stars Ross Noble and Tommy Knight. 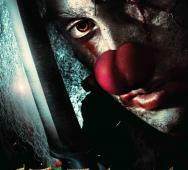 Darren Lynn Bousman’s just released The Devil’s Carnival but has a new film in the works, The Barrens. 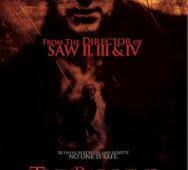 Take a look at the new horror poster from The Barrens featuring Stephen Moyer (True Blood) on the front. The Barrens is about a man who takes his family on a camping trip and soon starts thinking that they are being stalked by The Jersey Devil of the Pine Barrens. The new Carrie (2013) is set to be directed by Kimberly Pierce (Boys Don’t Cry) and as everyone knows Chloe Moretz will be the star of Carrie. New cast members include Julianne Moore and Gabriella Wilde. Julianne Moore will star as Carrie’s mother, Margaret White. Piper Laurie played this role in the original Carrie and scored an Oscar nomination for her performance. Gabrielle Wilde, best known for The Three Musketeers, will play Sue Snell. Sue is one of the girls who tortures Carrie but later on feels remorse for the sad Carrie. 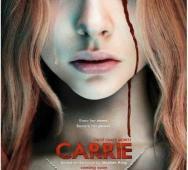 The upcoming horror movie Carrie is scheduled for release in 2013. Thale will be appearing in the Cannes film market this month. Epic Pictures took the Norwegian creature of folklore about a girl with a cow tail and has brought it to life in this horror movie. Some of the pictures are cool while others are pretty scary. 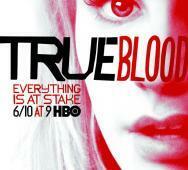 HBO True Blood Season 5 now has 12 character posters released. The tag line of season 5 is “Everything is at Stake”. True Blood 5 will be starting this June 10, 2012. Based on the best selling novels by Charlaine Harris entitled Sookie Stackhouse. True Blood is a horror fan favorite that has vampires, shapeshifters, fairies and a whole mess more. CW The Secret Circle has been cancelled CW will be picking up Cult. The CW has four other pilots for the CW’s upcoming fall roster. The Arrow is based on the Green Arrow comics. Beauty and the Beast will be loosely based on the CBS TV series from the 80’s. 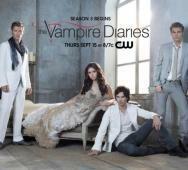 Supernatural and The Vampire Diaries will be returning of course. 7500 from Takashi Shimizu was scheduled to be released this August 31, 2012 but is not rescheduled to sometime this upcoming 2013. There is no solid date in 2013. I can’t wait to see this horror film and my wait has just increased. Shawn Rasmussen and Michael Rasmussen scripted horror movies like John Carpenter’s The Ward. Their new horror film Dark Feed in which they are the directors. The Dark Feed poster has hit the internet in time for the Cannes Film Market. 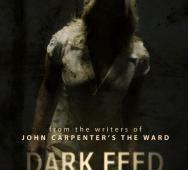 Dark Feed is set in an abandoned psychiatric hospital as a film crew stays in it in order to shoot a low budget horror movie. Late nights and lack of sleep slowly take their toll on the crew. As time goes on, the building seems to be coming to life as if awakened by the unknowing guests. 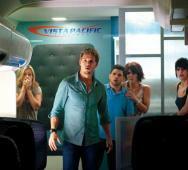 The ghosts of the building start to haunt the crew and I do not believe they will make it out alive. FX will be bringing out their own serial killer TV show Heartsick just like the hit Showtime Dexter. This time though our serial killer will be a female serial killer. 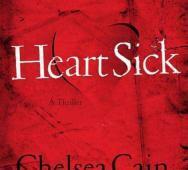 FX Heartsick is based on the popular horror book series written by Chelsea Cain. Our female killer, named Gretchen Lowell, is in a relationship with a police detective, Detective Sheridan. The detective knows that she is a serial killer having previously been her victim. She kidnapped the detective for a week and tortured him but released him afterwards for whatever reason. The Possession is based on a true story about a family that must unite to overcome an unspeakable evil. We have the official poster and first photo. The true story that inspired the movie was based on a small wooden box that was sold on EBay containing two locks of hair, one granite slab, one dried rosebud, one goblet, two wheat pennies, one candlestick and, allegedly, one “dibbuk,” a kind of spirit popular in Yiddish folklore. This was posted in the Los Angeles Times July 25, 2004, click the link for more information. Fever is a new horror movie coming this 2012. Romain Basset’s first feature film co-produced by the Oh My Gore! team. Most of the film takes place in the ethereal world of dreams. We have some official photos and behind the scenes photos. This horror film stars Catriona MacColl (Lucio Fulci’s muse), Lilly-Fleur Pointeaux (PLATANE - French TV Show), Murray Head (actor - SUNDAY BLOODY SUNDAY, Singer - “Say it ain’t so”, “One Night in Bangkok”), Vernon Dobtcheff (THE SPY WHO LOVED ME, THE NAME OF THE ROSE, INDIANA JONES AND THE LAST CRUISADE), Emmanuel Bonami (DJINNS), Fu’ad Ait Aattou (THE LAST MISTRESS, he’s the lead role in the next Alexandre Arcady movie CE QUE LE JOUR DOIT A LA NUIT), Joe Sheridan (THE NINTH GATE, DANGEROUS LIAISONS), Gala Besson (ROMEO AND JULIET stage play), Philippe Nahon (I STAND ALONE, THE CRIMSON RIVERS, WAR HORSE). Who else was blown away by this episode? Rebekah tries to convince Klaus to leave Mystic Falls permanently. Alaric starts his job that he was created for. Elena tries to save Caroline by herself without her friends knowing. Klaus spoke to Caroline with deep feelings. Alaric needs Elena alive and so does Klaus. Alaric joins with Stefan and Damon to save Elena from Klaus. 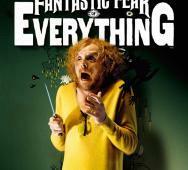 Simon Pegg (Shaun of the Dead) takes full frontal pose in poster for upcoming horror movie A Fantastic Fear of Everything. Also starring is Amara Karan, Clare Higgins, Sheridan Smith and Alan Drake. Simon Pegg will be playing a children’s author turned crime novelist whose expertise in Victorian serial killers has turned him into a paranoid man scared of everything. Hollywood executives take notice of him and pursue him in the intentions of making a horror film out of his findings. You have to see this 2012 release. 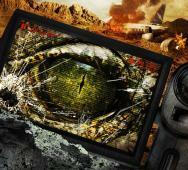 Twentieth Century Fox Home Entertainment has begun production on Wrong Turn 5, the next in the horror genre franchise. Returning director and writer of Wrong Turn 4: Bloody Beginnings and Sharktopus, Declan O’Brien. This will be his third Wrong Turn movie. Doug Bradley from Hellraiser‘s Pinhead will be leading the cast. I finally got my hands on Area 407, once known as Tape 407. Area 407 is one of those new found footage type horror movies that has people running around with video cameras. We get to see the action as if we are right there in the calamity. That being said, I really did feel like I was there in the film. At Silver Falls is directed by Brett Donowho and will have it’s international market screening at Cannes. At Silver Falls is inspired by the true-story of the unsolved murders of two twin girls. The small town of Silver Falls is suddenly hit by a series of unexplained deaths. Orphaned teenager, Alix Elizabeth Gitter, becomes the haunted victim of one of the deceased young girls and is compelled to uncover the shocking truth.